• Conference materials/session pages linked below. Lunch speaker: CUONG DO, Identifor: "Enabling the pursuit of meaningful lives for each individual autistic teen and adult"
SFASA FOCUS GROUP: WE WANT TO HEAR FROM YOU! AFTER YOU'RE GONE: WHO CARES FOR YOUR ADULT CHILD AFTER YOU DIE OR BECOME INCAPACITATED? “Psychiatric and Medical Challenges in Adults with Autism,” Lawrence Fung, M.D., Ph.D.
“Physician Knowledge and Experience with Autism in Adults,” Lisa Croen, Ph.D.
“Accessing Health Care in the Community: Resources and Tools,” Clarissa Kripke, M.D. “Autism and Insurance for Adults: The Next Frontier,” Karen Fessel, Ph.D. Discussion moderated by Linda Lotspeich, M.D. and Lawrence Fung, M.D., Ph.D. 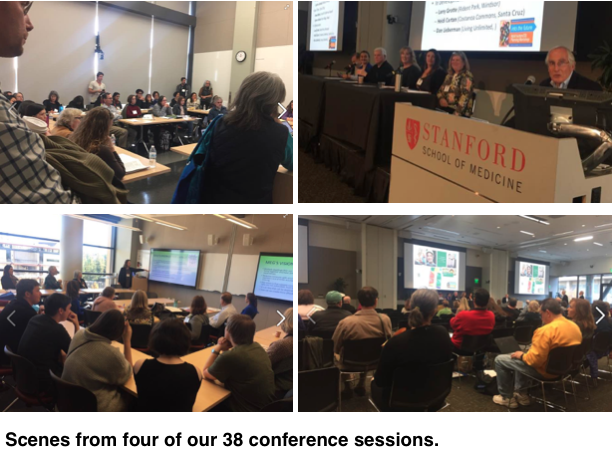 This conference was sponsored by Autism Society San Francisco Bay Area, in partnership with the Stanford Autism Center Parent Advisory Board. Please note that Autism Society San Francisco Bay Area provides information but this information does not constitute medical or legal information. Inclusion of any organization does not imply endorsement, and omission does not imply disapproval. We thank Chris P., Morgan Autism Center, for the logo artwork. You are visiting the SFASA16 conference website.